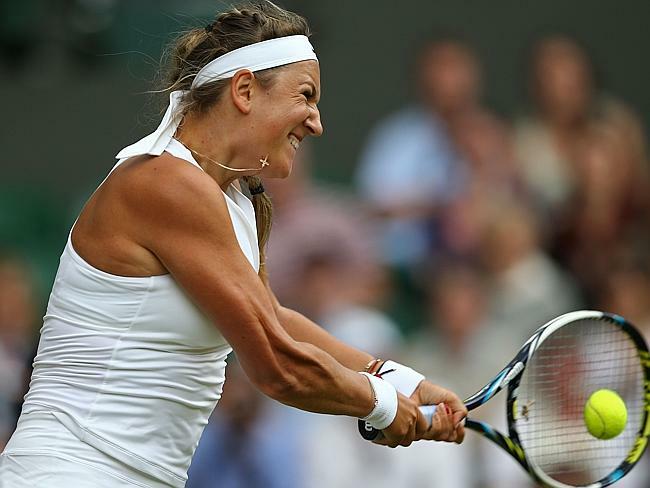 VICTORIA Azarenka claims women players are unfairly pilloried for their on-court shrieking and grunting, blasting boozy Wimbledon fans for mocking her as well as rivals Serena Williams and Maria Sharapova. Azarenka and Williams cranked up the volume on Centre Court on Tuesday during their gruelling quarter-final, which the American won 3-6 6-2 6-3 to set up a semi-final clash with Sharapova. As the encounter’s tension increased so did the mimicry of the fans inside the 15,000-capacity arena. Azarenka believes fans on Centre Court, many of them revelling in the tournament’s status as a major English social summer event as well as a sporting spectacle, should learn to behave. The Belarusian advised them to ease up on their alcohol intake when they are spending all day in the sun watching the tennis. “I think they might have had a few too many glasses of Pimm’s or whatever,” she said in reference to the gin-based cocktail which is as closely associated with Wimbledon as strawberries and cream. “When people are drinking, every time the announcer says, ‘Make sure you hydrate yourself’, I think he means with water, not with alcohol. Azarenka is fed-up with the amount of attention placed on the noises coming out of women’s mouths instead of the on-court action. “I’m so tired of these questions all the time. It’s so annoying because guys grunt. I was practising next to Rafael Nadal and he grunts louder than me, and nobody noticed that,” said former world No. 1 Azarenka. “Why? Both the women on court are trying their hardest and giving everything they have, and they make a noise. Is that a problem of tennis? “It happens in every sport. So I think maybe it’s time to just put it aside and not talk about it all the time because this is not what is important when there are two players playing on the Centre Court. 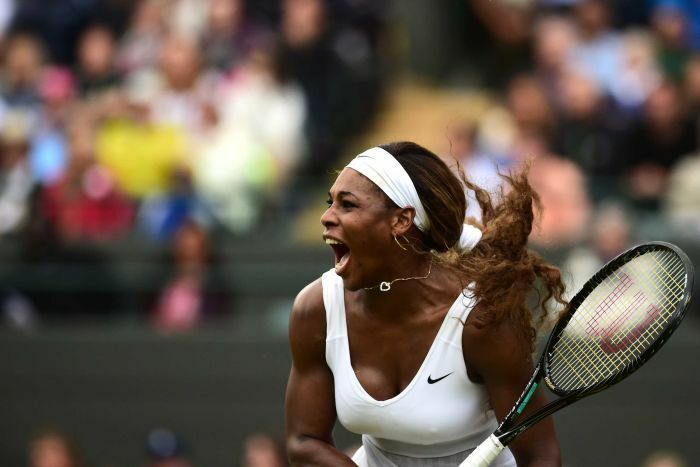 “We’ve got to look a little bit past that and see, my God, Serena played 24 aces. Sharapova has long been derided for her grunting and shrieking. Britain’s famously inventive tabloid press have even utilised a “gruntometer” to measure the often ear-splitting shrieks of the top players. Back in 2012, the WTA pledged a crackdown on the worst offenders. But Sharapova said she was bored by the issue. “I have nothing to say. It’s nothing new. It’s not a new question,” said the Russian after her 6-3 6-7 (3-7) 6-2 win over Coco Vandeweghe on Tuesday.